Patient Info - Dedicated Biopsy Services. All Rights Reserved. Our Patients Love Us ! According to the most recent CDC data over 210,000 women will be diagnosed each year with breast cancer. Of 100 women who have mammograms 8-10 will have suspicious lesions that will require biopsy. Of those women biopsied 1 in 20 will be cancerous. Stereotactic breast biopsy is the latest non-surgical technique to assist in appropriate evaluation and diagnosis of breast cancer. Since our beginnings in 1999 and over 16,000 biopsies we have surveyed every patient and asked them to give us their feedback on their biopsy experience. 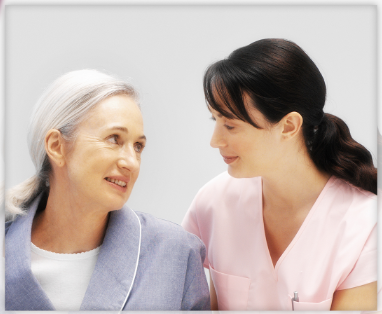 The overwhelming responses form our patients is that their care was wonderful. ” Breast Biopsy Is All We Do ” – Our custom made mobile surgery suites are built form the ground up with patient comfort and safety in mind. With the experience that comes with over16,000 breast biopsies our hand picked team of experts are some of the most experiences breast biopsy technicians in the world. If you live in Southern California or Arizona and would like to have a referral to a facility that works with Dedicated Biopsy Services give us and we will be happy to help you find the facility closest to you. Dedicated Biopsy Services. All Rights Reserved. Copyright © 2019.